Occasionally I get to enjoy the satisfaction of seeing a long-term project come to fruition. I recently completed an odyssey that began over 5 years ago when a large black oak tree fell over across the street from my house, and ended recently with the completion of a twelve-sided dining table. 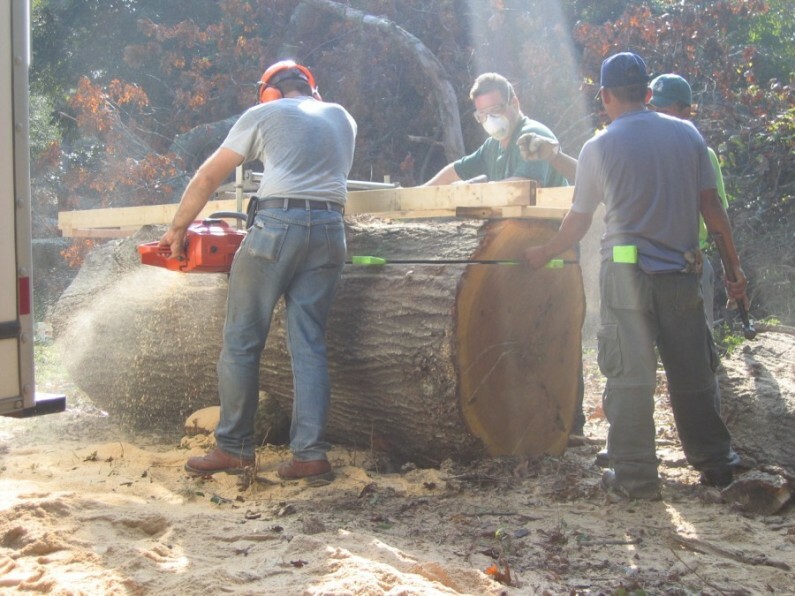 I had only vague notions of tables made of big slabs of oak when I saw the pristine log laying by the road, headed for the firewood pile unless I intervened. After some consultations with people who knew a lot more about drying wood than I ever will, I built a small kiln around the stack of lumber and dried the wood slowly over a year. 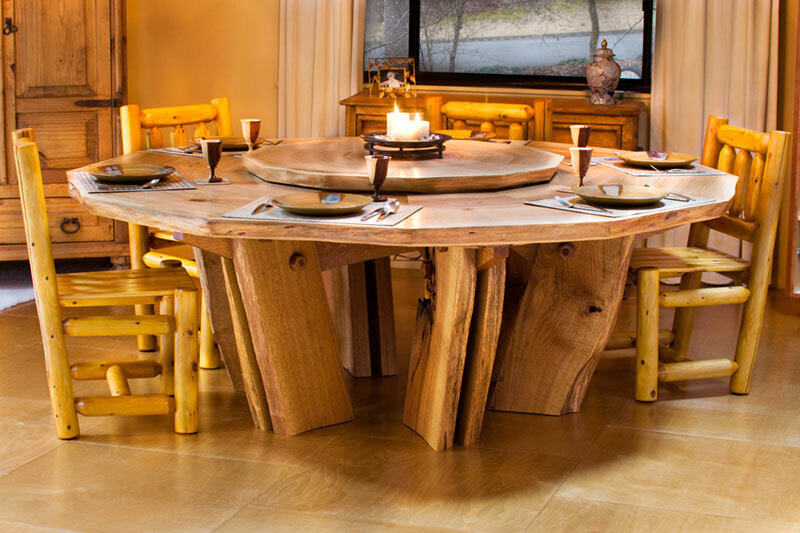 The pieces air-dried another year before casual conversations with a client and a friend produced buyers for half of the eight large slabs, leaving me four “leftover” pieces along with a small pile of fairly massive quarter-sawn oak timbers. I had plenty of time while the first half of the tree was going through the shop to play with the shapes of the slabs in my CAD program. I had no idea it would turn into one of the most ShopBot-intensive projects I’ve ever gotten involved with. Hours and hours of CAD and toolpathing time with DesignCad and PartWorks produced well over 60 toolpaths to machine all the various components, including threaded nuts and dowels for the base structure and a matching lazy-susan which was almost as much work as the rest of the table. 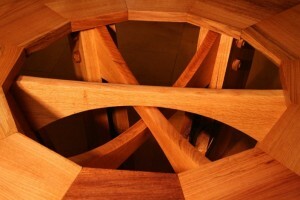 I spent a lot of time designing the structure to accommodate wood movement. The twelve top segments are cinched together with a steel cable and turnbuckle that is threaded through a cableway which was routed and drilled through the underside of each piece. I’ve already watched the gaps open and close slightly as the seasons change, although the fit was nearly perfect when the parts first came off the machine. If necessary, I can dis-assemble the table for cleaning or re-machining if the gaps get out of hand. Sometimes the best joinery is none at all. This neighborhood tree was too good to pass up. 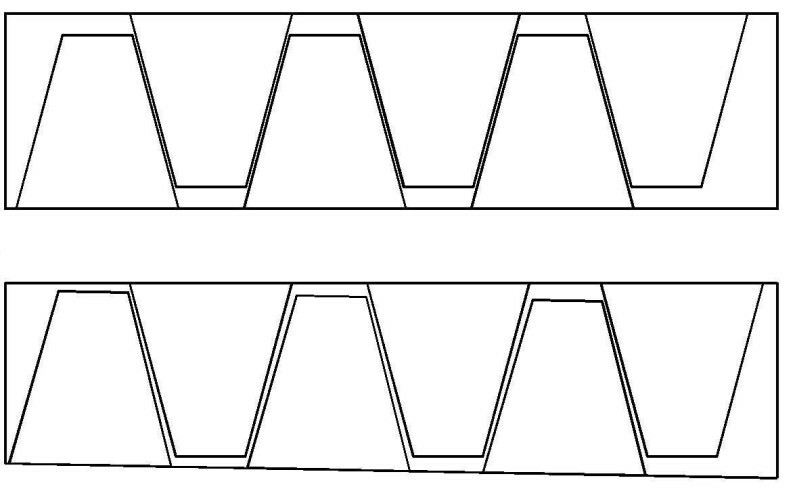 CAD layout of the exact shapes of the slabs allowed for maximum use of the material. 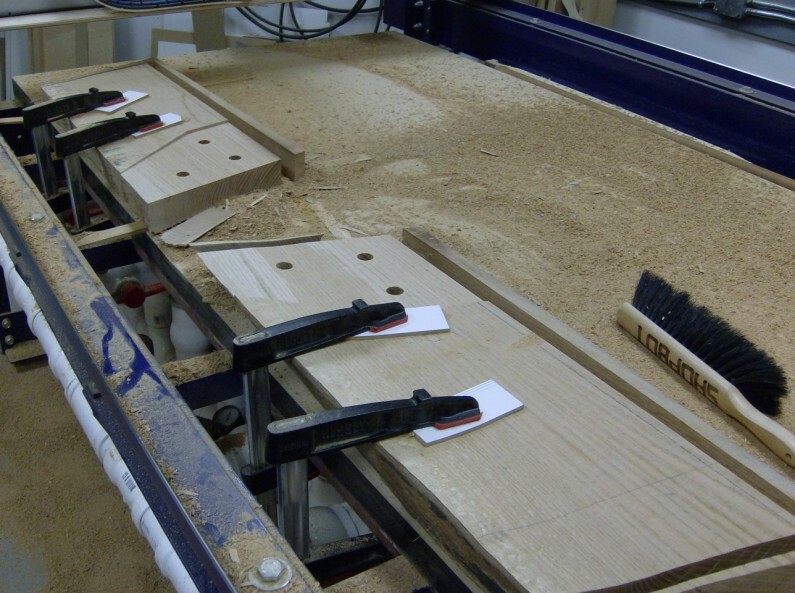 Machining the ends for alignment dowels and the cable. 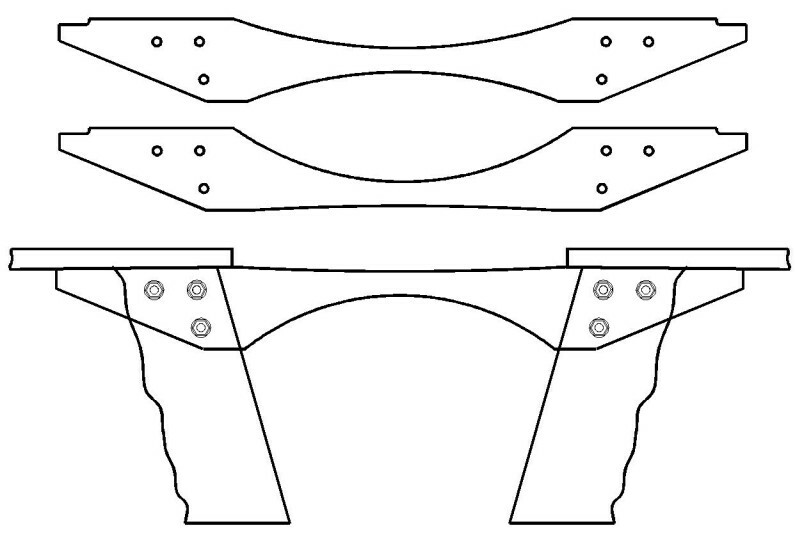 CAD layout of the base parts. 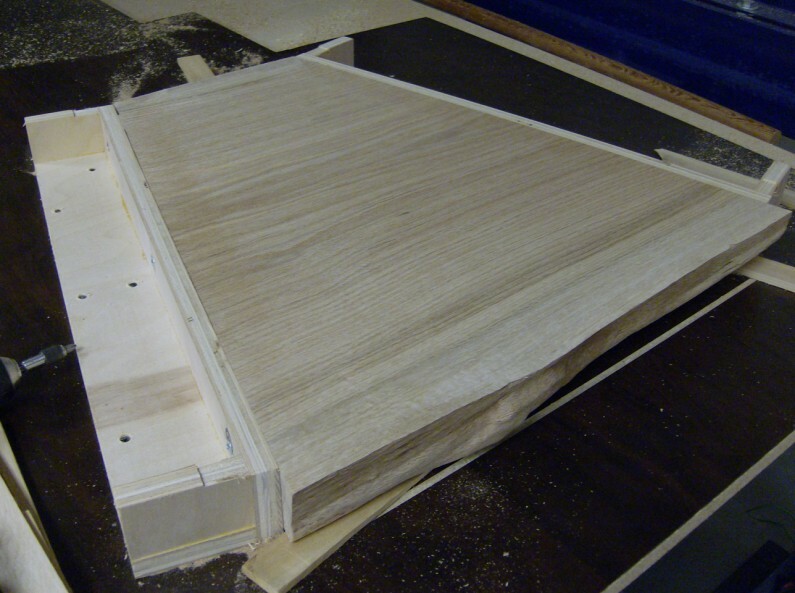 One of several setups used for machining the legs. 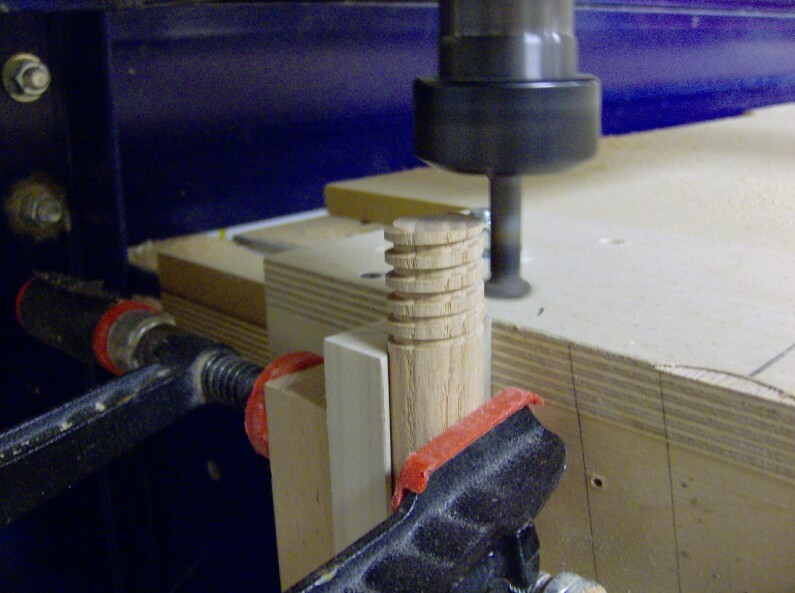 Machining the threaded ends of the dowels using a custom-made router bit. Closeup view showing the nuts and dowels.